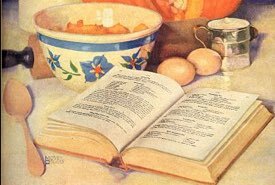 Use these old fashioned Thanksgiving baking recipes to make traditional treats for your family. There's nothing like the delicious, homemade taste of the squash muffins, potato scones, and pumpkin brown bread. Be sure to eat them while still warm from the oven and spread with the harvest-style vegetable marrow jam. Experience an authentic heritage taste. The vintage dessert recipes are easy to make, and they call for all-natural, garden-grown ingredients. The pumpkin bread is a classic from the early settler days. Serve a slice warm with butter and enjoy an amazing homemade treat. 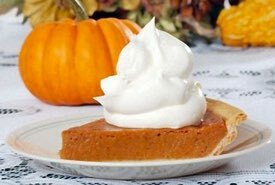 Put two-thirds of a cupful of cooked squash into a bowl, then add a quarter of a cupful of sugar, one well-beaten egg, two cupfuls and three-quarters of flour, half a teaspoonful of salt, three teaspoonfuls of baking powder, and two tablespoonfuls of melted butter. Mix well and bake in buttered and floured muffin pans for twenty-five minutes. 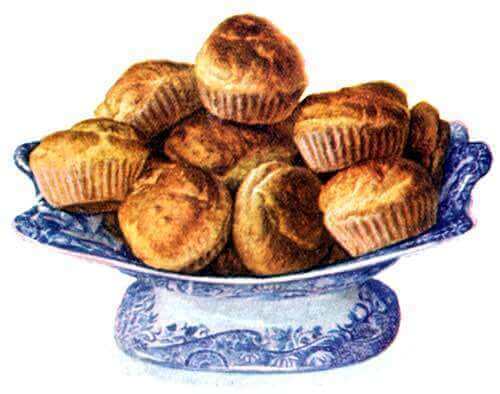 If these muffins are intended for a luncheon or a tea, a quarter of a teaspoonful of powdered ginger may be added. Put two cupfuls of mashed potatoes into a bowl, add two tablespoonfuls of hot milk, one tablespoonful of melted butter, one teaspoonful of sugar, a quarter of a teaspoonful of salt, and one cupful of flour. Knead, divide into three pieces, and roll out into rounds. Divide each round into four small scones. Place them on a hot griddle and cook for five minutes on each side. Serve hot with butter, jam, or jelly. 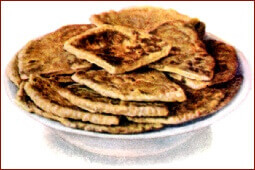 This potato scones recipe may be made with leftover potatoes, but are nicer if prepared with potatoes freshly boiled. They are delicious, but will not keep fresh more than a day. 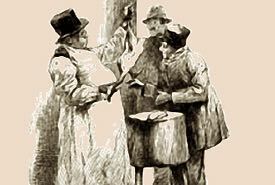 Two cupfuls of pumpkin juice, three cupfuls of yellow cornmeal, three cupfuls of rye meal, half a cupful of molasses, one teaspoonful of salt, two cupfuls of milk, and one teaspoonful of baking soda. Mix all these ingredients together, beat well, and turn into a buttered tin, cover with buttered paper, and steam for five hours. 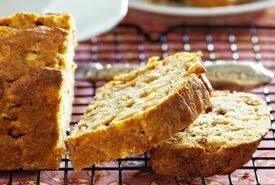 This old fashioned pumpkin bread is tasty when eaten with the Thanksgiving dinner or as afters with homemade jam and butter. 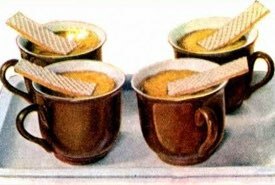 Ingredients: Four pounds marrow, peeled and cut into small cubes; 4 pounds of sugar; 2 lemons, juice and grated rind; 2 teaspoons ground ginger. Method: Boil the marrow until tender, drain, add the other ingredients and boil until thick; and it will be almost as clear as honey. Do not cover with sugar overnight before boiling, as this makes the marrow tough. This tasty homemade jam goes perfectly with any of the Thanksgiving baking recipes on this page.